Jan Magne Gjerde is Researcher in Archaeology at the High North Department in Tromsø at NIKU (Norwegian Institute for Cultural Heritage Research). Gjerde has a PhD in Stone Age rock art of Fennoscandia with extensive fieldwork in Finland, Norway, NW-Russia and Sweden. Gjerde has in the last years published several papers on Fennoscandian Stone Age rock art. He also led the large-scale Stone Age excavations at Tønsnes, Northern Norway in 2011 and 2012. Gjerde is currently working on the project “Stone Age Demographics: Multi-scale exploration of population variation and dynamics” (2017-2021) funded by the Norwegian Research Council. Rock art is a global phenomenon with an enormous variation in shapes and figures and the research interest is wide and inclusive. The volume aims to explain differences observed in rock art through time and space, synchronically or diachronically. Differences can for example be in form, content, space (macro and micro), where explanations might relate to a large variety of factors such as political, societal, beliefs and rituals. Issues connected with authenticity and presentation where efforts and choices taken to preserve and present rock art are indeed many sided and complex are discussed. The wide-range papers in this volume are by scholars from across the globe with different perspectives on differences in Rock Art. This volume will be of interest to students, archaeologists and researchers from related disciplines. Joakim Goldhahn is professor in archaeology at Linnæus Univeristy, School of Cultural Sciences in Sweden, and adjunct research fellow at Place, Evolution and Rock Art Heritage Unit at School of Humanities, Languages and Social Science, Griffith University in Australia (2016-2021). His research includes rock art traditions in northern Europe and northern Australia, European Bronze Age, the history of archaeology, and themes like landscape perceptions, death and burial rituals, ritual specialists, war and memory, and more. His latest publications includes Sagaholm – North European Bronze Age Rock Art and Burial Ritual (Oxbow 2016), Birds in the Bronze Age – A North European Perspective (Cambridge University Press 2019) and guest editorial issues on Contact Rock Art for Australian Archaeology (2019, edited together with Sally K. May) and Rock Art Ontologies for Time and Mind (2019). This article discusses the chronology and use of hunter-gatherer rock painting sites in northern Europe from an archaeological perspective using formal methods. Until recently the dating of different rock painting traditions have been based on comparative analyses and shore displacement data from various areas in northern Europe. During the last decades, however, several rock painting sites have been excavated. Each of these excavations have resulted in a variety of answers and questions but so far there have not been any attempts to analyse and interpret the entire assemblages. This article aims to initiate a discussion about the interpretation of the chronology and use of rock painting sites and it focuses on available radiocarbon analyses, but also the deposition of organic material and material culture. It is argued that there are several distinct patterns in the analysed material, here defined as four time horizons that stretch from ca. 4400 BC to the early modern period. It is suggested that there is more than one way to interpret these horizons. Knut Helskog is a Professor Emeritus in Archaeology at The Arctic University Museum of Norway and Academy of Fine Arts, UIT The Arctic University of Norway. His research interest is oriented towards prehistoric hunter – fisher – gatherer populations in northernmost Europe, with a specific focus on the World Heritage rock art sites in Alta, northern Norway. His last works include, Communicating with the World of Beings. The World Heritage rock art sites in Alta, Arctic Norway. Oxbow Books (2014). Integrating rock art into local and regional archaeological records is a major problem as the evidence of direct cultural connections frequently is weak and even lacking. This paper focus on the creation of a chronological sequence based on altitudinal and temporal relationships between petroglyphs, radiocarbon dated occupation sites and the Holocene shoreline displacement within a confined coastal area in Alta, Northern Norway. The proposed shore displacement curve based on the maximum dates from different sites deviates slightly from that based on geological data and need to be challenged through multi-disciplinary research. The radiocarbon dates indicate that some localities were reoccupied multiple times. Even so, the focus of making petroglyphse. was mainly within the zone of mean tide to the above outwash area, which gradually was replaced by emerging rock surfaces due to postglacial rebound. As such, the time spans of the zones are gradually becoming younger, but one must be especially critical if “translating” minor altitudinal differences into temporal differences. A discussion of the spatial relationships of the boat figures and the shore-displacement indicate that the petroglyphs might be divided into more periods than earlier suggested. Charlotte Brysting Damm is professor of archaeology at the Department of Archaeology, History, Religious Studies and Theology at the Arctic University of Norway, in Tromsø. She works predominantly with northern prehistoric hunter-fishers, with particular emphasis on interregional networks, multicultural interaction, as well as ritual and cosmology. The increasing number of Stone Age rock art sites across northern Fennoscandia invites studies of variation in topography and motivations between locations both between and within regions. Even a preliminary overview suggest significant differences between regions, which in turn must indicate differences in perceptions and practices at the major sites. In addition the variation in topography, choice of panel location and / or execution within each region suggest different practices and perhaps different spiritual associations at different kinds of sites. Natural temporal changes in the landscape were of vital importance for hunter-fisher-gatherers in the circumpolar area. The natural surroundings, the activities and way of living of the hunter-fisher-gatherers would change dramatically with the seasons of the year. These changes are represented in the rock art by depictions of “seasonal” or migrating animals indicating time of year. The majority of Stone Age rock art sites would have been accessible throughout the year. Those in the tidal zone and near rapids would be free of snow during the winter months, while the paintings on vertical rock cliffs would be exposed and even more visible and accessible in winter. 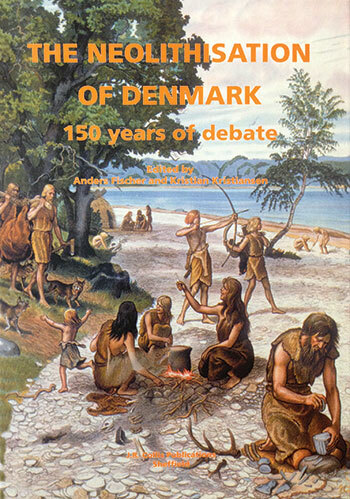 Based on comprehensive fieldwork in Fennoscandia studying rock art sites and their location, I furthermore argue that temporal changes in nature have implications for the documentation and interpretation of rock art and rock art sites, landscapes and geographical knowledge during the Stone Age of northernmost Europe. Marianne Skandfer is Associate professor in archaeology at Tromsø University Museum, UIT – The Arctic University of Norway. Among her fields of research is spatial and temporal variations in Stone Age house-pit dwelling. On the Stone Age rock carving panels at Jiepmaluokta, Alta, Norway, more than one third of all the known figures, over one thousand, are classified as reindeer. A recent comparative study of Fennoscandian rock carvings suggests that variation in amounts of different animals depicted at each site refers to differences in relations between people and the specific local environment, including local species (Gjerde 2010). Taking this as a starting point, it is suggested that the Jiepmaluokta panels refer to meetings between humans and animals, here primarily reindeer. The depictions are interpreted as expressions of a hunter-gatherer ontology with close human-animal relations. 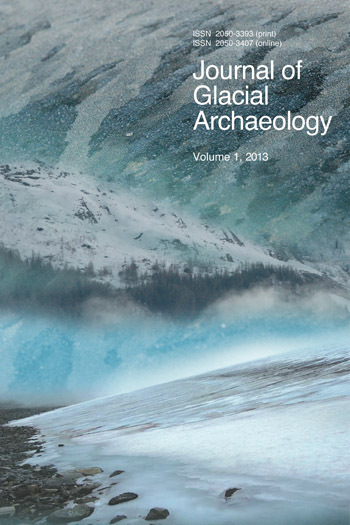 This paper is based in part on a dialogue at the site regarding the depictions of reindeer figures between a Sámi reindeer owner with summer grazing for his herd in the Alta region as well as being a scholar of traditional reindeer knowledge, and the archaeologist author. Martin K. Hykkerud is an archaeologist currently working as section manager at the World Heritage Rock Art Centre – Alta Museum. He works with all aspects of rock art, but especially the issue of rock art conservation. The Kåfjord site, just a few kilometers northwest of the World Heritage Rock Art Centre – Alta Museum, holds a very special place in the world of rock art. It contains some of the most intriguing imagery of the Alta rock art, and the surrounding landscape and size of the site is quite breathtaking. But despite all its splendor, Kåfjord is also the most vulnerable of the Alta sites. Discovered only 3 decades ago, its bedrock canvas suffers to great extent from cracking, exfoliations, weak-points and loose stones. Each visit to Kåfjord comes with a certain unease, as to where to step in order not to break anything. Quite recently, Alta Museum in collaboration with the Directorate for Cultural Heritage and Tromsø Museum, started a project to develop techniques to measure how fast the different deteriorations are happening in Kåfjord, and if possible, identify their causes. The project has aimed to evaluate the effects of factors like vegetation, lichen, freezing water, water seepage, extreme weather and visitation. In this presentation I will discuss some of the findings, and hopefully inspire some ideas to others faced with challenges that share similarities to Kåfjord. Trond Eilev Linge works as an archaeologist at the University Museum of Bergen, University of Bergen, where he is primarily working as project leader for various archaeological excavations. Besides rock art his research interests are the Nordic Stone Age and Bronze Age. The paper explores the relations between rock art, landscape and seasonality through examples of painted salmon at Honnhammar in central Norway. The salmon is a rather rare species in the fauna of north European rock art, but is central at two of the sites at Honnhammar as well as on a few other localities in northern Europe. It will be argued that an understanding of the species’ occurrence in the landscape throughout the different seasons of the year is essential in understanding the rock art. The salmon’s life cycle makes its appearance in the fjords and rivers highly seasonal. Ethnography from North West America give a glimpse into how the relation between humans and salmon might have affected ritual and ceremonial life as well as myth. Ingrid Fuglestvedt holds a PhD from the University of Bergen. She is lecturing at the University of Oslo, and is a scholar of Stone Age archaeology. The technology of the Early Mesolithic and perceptions of remote landscapes in the age of pioneering has been the focus of her research, as well as the study of body and gender in Stone Age and rock art studies. Another strand of interest is Mesolithic ontologies and how they are expressed in rock art. Fuglestvedt has directed the research project Meetings Make History. Rock art and lands of identity in Mesolithic Northern Europe, funded by the Norwegian Research Council. Taking its outset in the definition of the moteme, this chapter presents a key to understanding Late Mesolithic (hunters’) rock art on a large scale, including the three large rock art areas on the Scandinavian Peninsula (i.e. today’s Norway and Sweden). The moteme is defined as specific motif types, ones that thematise different stages of the hunting cycle. Inspired from the Lévi-Strauss concept of the mytheme, the motemes imbue and express the metaphoric connection – and the ambiguous opposition – between the community of humans and the community of the elks, or other large cervids. Motemes have been reproduced, in fact “repeated” throughout the study area, however, with variations in styles and composition. Motemes have also been the object of ‘transformations’. Motemic repetitions, variations and transformations are regarded to be both devices for, and products of, the Mesolithic mind’s intellectuality. As such, this is a special case of ‘wild thinking’, indeed an example of “a free play of thought” made manifest in rock art. Antti Lahelma is a senior lecturer in archaeology at the Department of Cultures, University of Helsinki, Finland. His core expertise lies in the study of prehistoric identity, cultural production, and worldview particularly in the northern circumpolar area – topics that are also covered in his recent book titled ‘Northern Archaeology and Cosmology: a Relational View’ (Routledge, 2019) written together with Vesa-Pekka Herva. This paper discusses the underwater excavations arranged by the author in 2011 in front of the rock painting site of Kotojärvi, Southeastern Finland. The excavations yielded well-preserved unburnt bones belonging to elk and various bird species, dated to the Early Metal Period between ca. 1800 cal. BC and ca. 700 cal. BC. They are likely to be broadly contemporary with the rock paintings, and thus probably relate to ritual activities carried out at the site. In spite of modern disturbance and technical difficulties associated with the 2011 excavations, the investigations shed new light on the nature and dating of the Kotojärvi finds, which remain so far unique in Northern Europe. The animal species and body parts, which include fragments of elk skulls and bones of diver birds, do not appear randomly selected but reflect ancient Finno-Ugric or circumpolar cosmological notions. History Russian Academy of Sciences, 18 Dvortsovaia emb. 191186 St.Petersburg Russia. Rock carvings of Northern Fennoscandia are left by hunter-gatherers. At the same time, a set of animals, hunting for which is depicted on the rocks, is extremely narrow – elk, reindeer, brown bear. In addition to these, geese, swans and beavers are depicted as a prey on Vyg and Kanozero. Each site has its own tradition in the representation of hunting. Differences in traditions of representation of hunting are too significant to allow a borrowing or influence between the creators of rock carvings of main rock art sites of Northern Fennoscandia. This paper addresses the clarification of the age of Lake Onega and White Sea petroglyphs in the Republic of Karelia, North-West Russia. Based on a detailed analysis of the natural and cultural settings of the monuments, and the recent dating of all Stone Age – Iron Age cultural types of Karelia the author substantiates a common chronological framework of the Karelian rock art. It is attempted to track the main stages of its development, which have been modified considerably, and so the petroglyph era of Karelia, the nature and dynamics of the coeval natural processes can be portrayed in more detail and with better argumentation. The antiquity of deep-sea hunting has been acknowledged among scholars who study historical and ethnographic records of such practices in the northern Hemisphere, although its chronological depth is still being discussed. One way to establish when marine hunting and fishing started, I propose here, is to look at the rock art of northern Europe for the visual indicators left for us by the prehistoric carvers. I will focus on the evidence of deep sea hunting (beluga whale) and fishing (halibut) with the use of a harpoon, a float and a lines-and-hook. Examples will be presented illustrating the presence of deep sea exploitation by prehistoric communities, dating to over 7,000 years ago from Besovy Sledki, White Sea, Russia and Alta, Norway. Andrew Meirion Jones is Professor of Archaeology, University of Southampton, UK. He has taught and written extensively on the archaeology of art, particularly prehistoric rock art. His most recent book include An Animate Landscape (2011), The Archaeology of Art. Materials, Practices, Affects (2018) and Making a Mark. Image and process in Neolithic Britain and Ireland (2019). Marta Díaz-Guardamino is Lecturer in Archaeology at Durham University, UK. Her research interests are in European prehistory and proto-history, archaeological theory, and digital technologies. She has studied prehistoric rock art, monumental sculpture and portable art from Iberia, Britain and Ireland. Her most recent books include The Lives of Prehistoric Monuments in Iron Age, Roman and Medieval Europe (2015) and Making a Mark. Image and process in Neolithic Britain and Ireland (2019). The visual imagery of Neolithic Britain and Ireland is spectacular. While the imagery of Irish passage tombs is well known the rich imagery on decorated portable artefacts is less well understood. How does the visual imagery found on decorated portable artefacts compare with other Neolithic imagery, such as passage tomb art and rock art? This paper reports on the early stages of the ‘Making a Mark’ project (running from 2013-2018) which uses cutting edge digital imaging techniques, including Reflectance Transformation Imaging (RTI) and structure-from-motion-photogrammetry, to examine Neolithic portable decorated artefacts of chalk, stone and antler from southern and eastern England. Digital analysis revealed – for the first time – the existence of practices of erasure and reworking. These practices are compared with the evidence from passage tombs and rock art. Margarita Díaz-Andreu is ICREA Research Professor at the Departament de Història i Arqueologia, Universitat de Barcelona. She is interested in the prehistoric archaeology, rock art and acoustics of Western Europe. She is also concerned with heritage, history of archaeology and the politics of identity in archaeology. She has undertaken fieldwork in rock art landscapes in Europe and Latin America. In the last few years she has focused on the relevance of acoustics as a factor for the production, location and active use of rock art sites and landscapes. She is the Principal Investigator of the ERC Artsoundscapes project (2018-2013). Tommaso Mattioli is Senior Researcher (ERC project Artsoundscapes) at the Departament de Història i Arqueologia, Universitat de Barcelona. He is an archaeologist (PhD) working on prehistoric rock art, geophysical prospecting, GIS, landscape archaeology and archaeoacoustics. His research particularly focusses on post-Palaeolithic rock art of Mediterranean Europe by ‘balancing’ the application of contrastable scientific methods and the study of symbolic aspects of past material culture and landscapes. From 2014 to 2016 he has been a Marie Curie IEF Postdoctoral Senior Researcher at the University of Barcelona with the proyect “SONART:the sound of rock art” in which he investigated causal links between the placement of decorated sites and the acoustic properties of rock art landscapes. This article provides an overview of the information gathered from ethnographic accounts regarding how premodern groups around the world understand sound in rock art landscapes in places where rock art is produced. Data have been divided into three main sections related to sounds connected to rock art in its production; through lithophones and sonorous landscapes; and beliefs in spirits living in the rocks that are then decorated with rock art. In view of the possibilities of linking rock art and sound in the Western Mediterranean – an area in which there are no informed sources, the article ends with a reflection on the possibilities and limits of interpretation that prehistoric archaeologists find when discussing the association between rock art and sound when only formal methods are available. Differences in southern African San rock art have long been noted, but defining these regions has met with little success. The interpretative approach that has dominated research in the last three decades focuses on similarities across space and through time rather than emphasizing difference. This paper considers the question of regionality in rock art and explores the how concepts of communities and constellations of practice offer tools to reconceptualise regional differences. These two concepts are applied to motifs of flight and transformation in three areas of rock art to interrogate difference and regional variation in the art. McGregor Museum and Sol Plaatje University, South Africa. David Morris is head of archaeology at the McGregor Museum, and Extraordinary Professor, School of Humanities, Sol Plaatje University, in Kimberley, South Africa. His research is focused on rock art in the Northern Cape Province, including the engraving site of Driekopseiland. His interests embrace the archaeological record of the region in general and development of public archaeology inter alia at Wildebeest Kuil and Wonderwerk Cave. His publications include the co-authored Karoo rock engravings (with John Parkington and Neil Rusch, 2008) and co-editorship of Working with rock art (with Ben Smith and Knut Helskog, 2012). No two rock art sites, nor indeed any two individual engravings or paintings, are ever the same. In the Northern Cape, South Africa, the dynamism in rock art expression is palpable through both time and from place to place. Conventionally, scholars discern stylistic or cultural threads in temporal or regional traditions in the rock art, lately variously hybridized; and the resultant schemes are the stuff of on-going discussion. Empirical problems, notably dating, persist and impede resolution in debates about spatial and temporal patterning. While clearly it is critical to continue tackling the empirical issues and constraints, this chapter suggests that theoretical considerations are equally crucial. Case studies based on sites in the Northern Cape and an assessment of theoretical insights from Tarde serve in modelling the mechanisms of repetition and innovation in rock art making through time and place to argue, after Ingold, that process, rather than social or cultural entities, is the driving force resulting in the observed variability. Geoffrey Blundell in Principal Curator of the Human Science Department, KwaZulu-Natal Museum, South Africa. His research interests include the use of rock art as a historical resource, rock art as resistance, and the politics of exhibiting archaeology. Ghilraen Laue is curator and rock art specialist in the Human Sciences Department of the KwaZulu-Natal Museum, Pietermaritzburg, South Africa. Her research interests are in interpretation and regional differences in southern African San rock art. Southern African research on rock art traditions that are not ”San” has tended to make linkages between the images and some putative ethnic identity. At best, these research efforts lean towards essentialism; at worst they end up making simplistic correlations between material culture and cultural identity. Scholars rarely attempt the complex issue of how image and identity are intertwined. By considering rock paintings that are different to “San” imagery from Nomansland in the south-eastern mountains of South Africa, and by situating those images within a historical context, I argue in this paper that it is possible to model the entanglement between image and identity for some parts of southern Africa at least. The majority of analyses of ancient petroglyphs, regardless their location, have focused on the content of the images, seeking traces of meaning, social practices, belief systems, or long-distance travel. By contrast this project in the Northern Cape pays attention to the material aspect and production techniques of prehistoric engravings. Recent theoretical debates on the materiality of practice emphasize how manufacture is embedded in social worlds and simultaneously creates subjects who shape the social realm. My investigation of the details of image manufacture at Wildebeest Kuil aims to attend to production, specifically time investment and levels of skill, necessary to make a petroglyph. The central research question is: can we recognize apprenticeship, learning and mastery by studying the techniques of image making? The broader frame of the project addresses the interpretation of a range of skills of making petroglyphs, and whether we can make inferences about the social context of learning and mastery in prehistoric contexts. Jo McDonald is the Director of the Centre for Rock Art Research + Management at the University of Western Australia and holds the Rio Tinto Chair of Rock Art. Her PhD research in the Sydney Basin contextualized rock art production of engraving and pigment sites the sandstone country of the Sydney Bsain. She has studied the rock art of the Western Desert and Dampier Archipelago (Murujuga) for the last two decades, completing an ARC Future Fellowship focused on arid zone rock art in Australia and the USA. Jo has recently been the Lead Chief Investigator (CI) for the Murujuga: Dynamics of the Dreaming ARC Linkage Project, and is a CI on the Deep History of Sea Country ARC Project. She is currently working on rock art dating across the arid zone, and is developing a project with Aboriginal communities from the Western Desert and Pilbara coast on inter-generational and cross-cultural knowledge exchange. Australia’s 50,000 year old desert occupation chronology is matched by a deep-time style sequence. Changing symbolic repertoires (i.e. stylistic change) and the ways that these changing graphic vocabularies are used to mark the land demonstrate how desert people have mapped their social geographies through time. Focussing on the rock art production a single Western Desert range, this paper explores the structure of this symbolic landscape at the local scale. The Western Desert style sequence can be perceived as change in a combination of form, subject, technique, medium, character and scale, but also placement. The different ways that the landscape has been inscribed through time is evidence for an enacted and perceived social geography. By focusing at this micro-scale – this chapter develops a time-series approach to rock art as a way of understanding changes in the deep time production histories for arid zone symbolic behaviour. Prof Paul S.C. Taçon FAHA FSA is an ARC Australian Laureate Fellow (2016-2021), Chair in Rock Art Research and Professor of Anthropology and Archaeology in the School of Humanities, Languages and Social Science, Griffith University, Queensland, Australia. He also directs Griffith University’s Place, Evolution and Rock Art Heritage Unit (PERAHU) and leads research themes in the Griffith Centre for Social and Cultural Research and Griffith’s Research Centre of Human Evolution. He has conducted archaeological and ethnographic fieldwork since 1980 and has over 89 months field experience in remote parts of Australia, Cambodia, Canada, China, India, Indonesia, Malaysia, Myanmar, southern Africa, Thailand, the Philippines and the USA. Prof Taçon co-edited The Archaeology of Rock-art with Dr Christopher Chippindale and has published over 260 academic and popular papers on rock art, material culture, colour, cultural evolution and identity. In 2015, he co-authored a book that outlines a new strategy for the conservation of world rock art and in late 2016 an edited book with Liam Brady, Relating to rock art in the contemporary world: navigating symbolism, meaning and significance (University Press of Colorado). In 2017 he co-edited a major volume on the archaeology of Arnhem Land rock art. In December 2016 Prof Taçon was awarded the top award at the annual Australian Archaeological Association conference, the Rhys Jones Medal for Outstanding Contribution to Australian Archaeology. He also received the 2016 Griffith University Vice-Chancellor’s Research Excellence Award for Research Leadership. Rock art conservation requires a holistic approach and should be maintained continuously. It is not simply using science to understand weathering processes that affect the art directly, but importantly involves other factors such as social, cultural and tourism concerns. These aspects need to be dovetailed so that information gained in one study can be disseminated to all other components. This idea underpins the Rock Art Protection Research Program that began in 2011. It has eight guiding principles: (1) Direction by, and involvement of, Indigenous owners and local communities; (2) Intellectual property and protocols for documentation; (3) Ethics and standards for conservation practice; (4) Ongoing communication and collaboration; (5) Raising public and political awareness; (6) Creating effective rock art management systems; (7) Training and support for conservation practice; (8) Realising community benefits. The overall aim of the research program is to collaboratively develop new, innovative ways to conserve and manage the rock art of northern Australia and beyond with and for the benefit of Indigenous peoples and local communities. In the process, new knowledge about rock art and its conservation will be obtained and Indigenous communities will be empowered. Dr Natalie Franklin is an Adjunct Associate Professor at the Centre for Rock Art Research and Management, University of Western Australia in Perth, and in the Archaeology Department of Flinders University in Adelaide, South Australia, and an Honorary Research Fellow in the School of Social Science, University of Queensland, Brisbane. She has a BA (Hons) degree in Anthropology from the University of Sydney and a PhD in Archaeology from La Trobe University, Melbourne. Natalie has focus on Australian prehistoric rock engravings. She has published widely in national and international journals, and edited or authored a number of books on rock art. These include the 2004 monograph Explorations of Variability in Australian Prehistoric Rock Engravings, published by British Archaeological Reports, and all 5 volumes in the series Rock Art News of the World, published by Oxbow Books and Archaeopress between 1996 and 2016, where she has co-edited the last 3 volumes. Dr Franklin also has over 25 years experience in cultural heritage management in Queensland, which has included developing management plans for rock art sites in partnership with Aboriginal custodians. The Panaramitee tradition is a corpus of mostly track and non-figurative rock engravings found throughout Australia, with most sites occurring in the arid zone, while by contrast, the Simple Figurative represents a diverse group of rock painting and engravings styles that are mostly figurative in nature and occur in resource-rich areas. This paper discusses the results of multivariate analyses of Panaramitee tradition rock engravings and Simple Figurative paintings and engravings. It finds that there are similarities, regional differences and differential diversity in motif content within the Panaramitee, and regional differences and some similarities in the Simple Figurative. The results are interpreted within a demographic, social and symbolic framework that has been proposed for the late Pleistocene archaeological record in Australia. They reflect: for the Panaramitee tradition, spatial similarities and differences within the widespread links forged by ritual Dreaming tracks that sometimes spanned the continent, and the need for local identity signaling behaviour in a societal context of group aggregation in Australia’s arid zone; and, for the Simple Figurative styles, differences in territoriality and boundary maintenance, which can also be explained within a societal and environmental context. A study of 1,358 petroglyphs recorded during the Dampier Archaeological Project (1980-1982) was conducted to identify patterns relating to the rock art and a mineral coating. This rock coating or desert varnish is present within a relatively small percentage of the rock art (20 percent), while many more petroglyphs truncate the varnish (34 percent). It was found that particular motif subjects are covered with the varnish, specifically those of macropod, elaborate non-figurative design, and certain types of anthropomorphic motifs; whereas marine subjects and different anthropomorphic forms cut through the varnish. Despite not being able to obtain an age determination for the varnish formation, or to estimate approximately when it may have formed, the subject dichotomy provides a strong correlation with the early phases of the rock art, at minimum, predating the formation of the Dampier Archipelago around 7,000 BP, with a later production period when a marine ecosystem became established. Leslie F Zubieta is a Marie Skłodowska-Curie Fellow (PostDoc) in the Department of History and Archaeology at the University of Barcelona. She is an Honorary Research Fellow in the Centre for Rock Art Research + Management at the University of Western Australia, Perth, Australia and at the Rock Art Research Institute, University of the Witwatersrand, South Africa. She acted as the Project Leader of the Port Hedland Rock Art Conservation Project. Her current research focuses on exploring rock art relationships to the transmission of knowledge, memory, acoustics and identity. Aboriginal peoples’ connection to their ancestral homelands is recognised by Federal Law through a legal process known as ‘Native Title’. The first successful Native Title claim in the 1990s invalidated the dogma of terra nullius – that Australia was an empty land before European colonisation. Despite the positive consequences resulting from this recognition, the legal and regulatory processes still pose many challenges for native title holders, contemporary Aboriginal communities and researchers working with Aboriginal knowledge holders. Maintaining authenticity, for both communities and the rock art sites for which they are custodians, in the post-native title era is highly complex. This paper discusses some of these issues in northwest Australia based on our experiences during the development of a conservation management plan for the Port Hedland rock engraving sites. Jamie Hampson is a Senior Lecturer in the Humanities Department at the University of Exeter. He has a PhD and an MPhil in archaeology from the University of Cambridge, and BA (Honours) in history from the University of Oxford. Jamie works primarily on rock art, identity, and heritage projects in western Australia, southern Africa, and the Greater Southwest USA. His most recent book is Rock Art and Regional Identity: a Comparative Perspective. The widespread occurrence of ritual specialists negotiating a tiered cosmos – in one form or another – throughout large swathes of North America provides an effective framework for addressing the meanings and motivations behind Trans-Pecos pictographs and petroglyphs. This chapter sheds light on this hermeneutic framework, but also considers the nuances within the Trans-Pecos rock art corpus, and what we mean when we talk about rock art ‘regions’. Robert J. David is an independent archaeological contractor and Research Affiliate of the Archaeological Research Facility at the University of California, Berkeley, where he earned his PhD in Anthropology. His research interests include North American rock art, and he has published several papers in peer-reviewed journals on the rock art of the Klamath Basin in southern Oregon. He is a member of the Klamath Tribes and currently lives in Chiloquin, Oregon where he continues his research. Margaret W. Conkey is the Class of 1960 Professor Emerita of Anthropology at the University of California, Berkeley. Her research has focused on interpretation in rock art and visual culture, especially of the Upper Paleolithic of Europe; on the study of gender and the feminist practice of archaeology; on landscape archaeologies, and on issues of mobility, “home”, and the social practice of hunter-gatherers of late Upper Paleolithic southwest Europe. She is currently a Co-director of excavations at the Magdalenian period open air site of Peyre Blanque in the Ariège of France. We address “differences” in rock art production with the rock art of the Klamath Basin in Oregon/California, USA. Rock art designs are not distributed uniformly across the landscape, even at the level of a given motif. Taking one particular widespread motif- the nucleated concentric circle– as a key symbol, we show that it is the context of its appearance that allows for differing symbolic significances, as it varies among settlement sites, special use areas and frequently-used areas. This landscape context model leads us to consider that within-group variations are better considered in terms of “common difference” than merely “stylistic”.